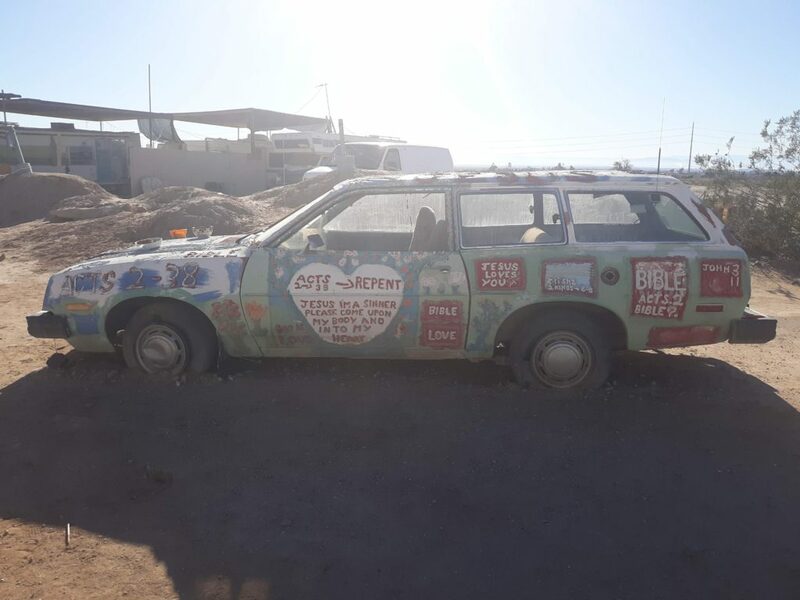 Slab City, also called “The Last Free Place in America,” located in Niland, California is a alternative community where people come to build new lives, live off the grid and celebrate life in a different way. Some people come to slab city to stay forever while others simply come for holiday or for a season. The land itself is primarily desert with the Salton Sea close by and a natural hot springs located on site. When traveling through you’ll find tents, winnebagos, RV’s, mobile homes, conversion vans and hand-built residences. Some of those on the land come to make art, music or just relax without the hum-drum annoyances of the outside world. The main attraction in Slab City is a large-scale art installation built by resident Leonard Knight. 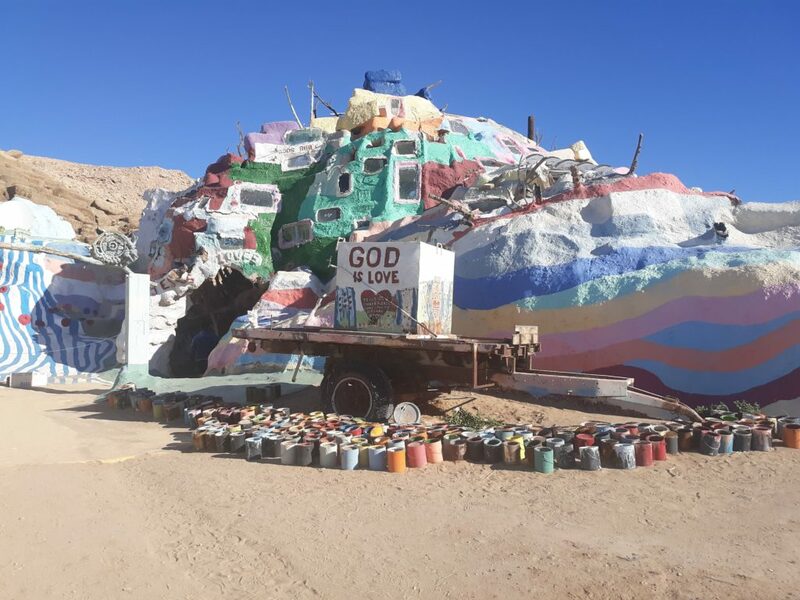 Leonard Knight died in 2014, but visitors still flock to Slab City to see the massive sculpture made from natural materials and lead-free paint. The sculpture has passageways and different rooms you can walk through with artwork around every twist and turn. 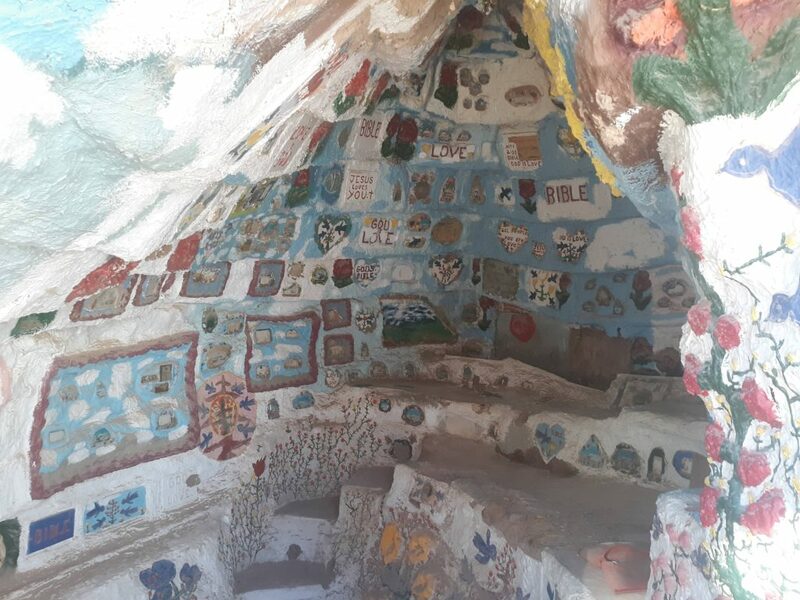 At the top of salvation mountain is a large cross and the entirety of the art installation has numerous murals and areas painted with Christian sayings and Bible verses. The sculpture was built around the “Sinners Prayer,” which is a prayer for those who want to renew or form a relationship with God or in christianity, Jesus Christ. Whether religious or not, the installation is worth paying a visit for anyone interested in American Folk Art and outdoor, large-scale art sculptures in California.